The "Spini" as it's called by the locals is your premiere accommodation in the Kimberley. A little piece of the city tucked away in one of the last outback towns, boasting a full restaurant, two bars, onsite bottle-shop and TAB! Remember to Relax in Luxury! The Spinifex Hotel is an iconic landmark in the West Australian Kimberley region. With it's rugged country exterior and metro-styled interior, it has set a new benchmark in regional accommodation and a new standard of hospitality that will do nothing less than impress. Rebuilt in April 2012, the Hotel has all the amenities you would find in any metro area hotel. Our restaurant is open 7 days a week serving some amazing local and fresh foods. We also have sports bar with 5 big screen LCD TVs for all your sport needs, a main bar with karaoke twice a week and our own in house DJ on Fridays, beautiful alfresco area where you are able to watch the sunset while enjoying a drink, our own bottle-shop fully stocked, and a large TAB with two self service terminals. For our guest we offer all the above amenities as well as free WiFi in the public areas, a free laundry and a pool to keep you cool! There are many reasons for visiting Derby on business or for pleasure. For instance, the town serves as a regional administrative and supply centre. However, most visitors are more interested in the Buccaneer Archipelago, Horizontal Waterfall, boab trees, the Gibb River Road, Windjana Gorge National Park, Tunnel Creek, Wharfinger’s House Museum… And the list goes on. When you’re heading to the Kimberley, for business or pleasure, make sure you book the Spinifex Hotel as your Derby destination. Check out our new September Deal! Follow the road into Derby, pass the Visitor Centre (on the left hand side) and then take the next left turn. Situated on the corner 50 meters. 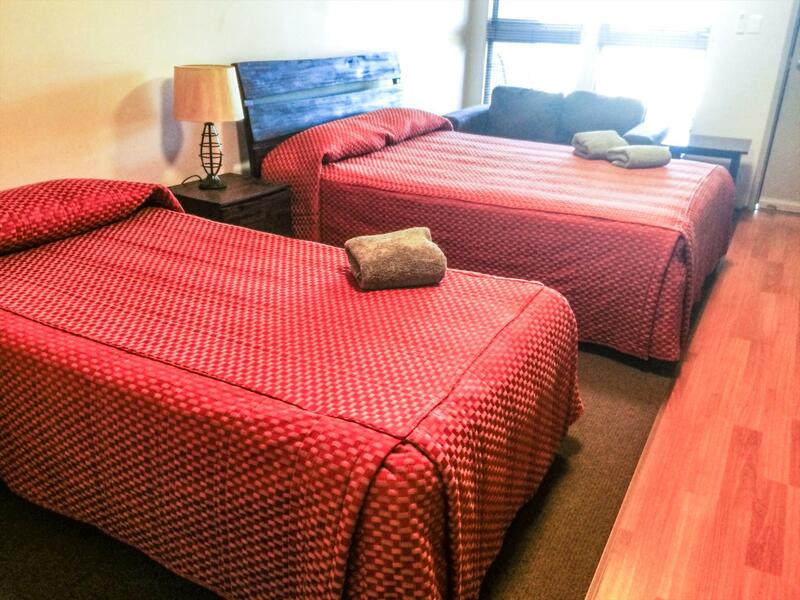 Our Self-Contained Motel Suites Twin Share rooms are equipped much like a studio apartment. Each room has one queen bed as well as on single bed all in the same room. 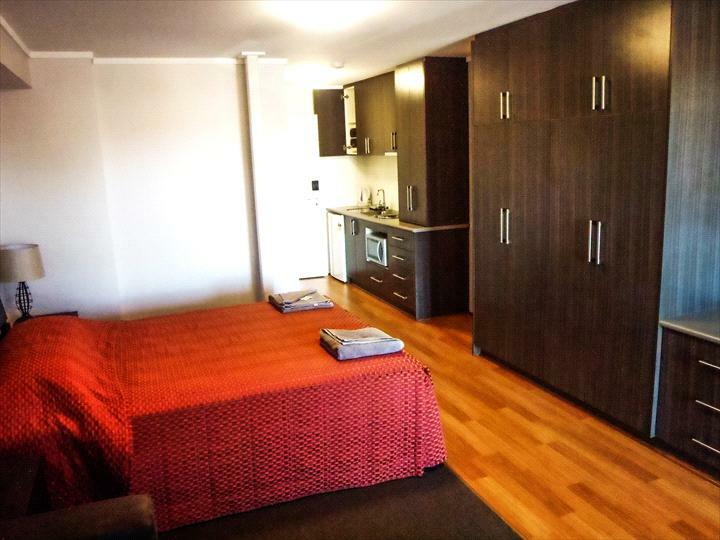 All the rooms are one bedroom but are very large and can accommodate up to 3 people. Each room has its own kitchenette complete with a stove top hot plate, microwave, all cooking utensils and fridge. The rooms also come with their own private balcony, 42� TV showing all available channels as well as Fox Sports, tea and coffee making facilities, and private en suite with shower as well as a combination washer/dryer. Free WiFi available in all rooms and common areas! If you require a room with two beds please let us know when you book the room. We do also have a limited supply of roll-away beds for a onetime fee of $25.00. Our Self Contained Motel Suites are equipped much like a studio apartment. Each room has one queen bed, but we have a limited amount of rooms that have an extra king single bed in the same room. 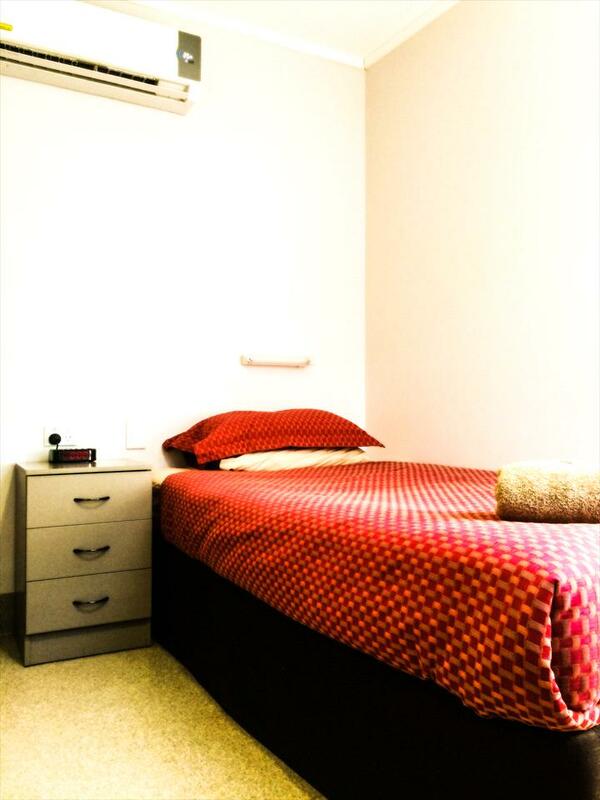 All the rooms are one bedroom but are very large and can accommodate up to 3 people. Each room has its own kitchenette complete with a stove top hot plate, microwave, all cooking utensils and fridge. The rooms also come with their own private balcony, 42in TV showing all available channels as well as Fox Sports, tea and coffee making facilities, and an en-suite with shower as well as a combination washer/dryer. These rooms also have free internet with an Ethernet cable only. Breakfast is not included in this rate however we do have a restaurant that offers a full breakfast menu. Our standard single rooms come equipped with all the basic needs for an overnight stay, however you are more than welcome to stay as long as you like! The rooms have one king single bed, private en-suite with shower, desk, TV showing all available channels as well as Fox Sports, tea and coffee making facilities, fridge, and individual air conditioning units. There are no cooking facilities in these rooms, however we do have a free guest laundry that has a microwave that guests are welcome to use. Breakfast is not included with this rate, however we do have a restaurant that offers a full breakfast menu. Amendments to reservations will incur no charge if outside 48 hours of check-in. Cancellations made more than 48 hours before guest scheduled arrival time do not incur any cancellation fee.Cancellations made less than 48 hours before guest scheduled arrival do incur any cancellation fee. This fee is equivalent of 1 nights accommodation of the guest booking.If a guest fails to cancel their booking and does not show up when scheduled that guest will be charged the entire amount of their booking.